We hope that you and your family never experience a house fire, but being prepared for one will keep your family safe. 97% of house fires are put out by the homeowners, if the flames and situation are out of control, evacuate the house. When using a fire extinguisher use the PASS method that we have previously discussed - PULL, AIM, SQUEEZE, and SWEEP. Fires double in size every 60 seconds, call for help immediately. We practiced them in school so why wouldn't we have a plan at home? Know how to get out when the smoke alarm goes off and practice your escape plan. Have a designated meeting place in the front yard that every member of the family knows how to get to. Practicing your "fire drill" can be turned into a fun game for kids. As the old saying goes, "stop drop, and roll." After you're safe, the fire is put out, and your basic needs are met, contact us to help restore your house and belongings. 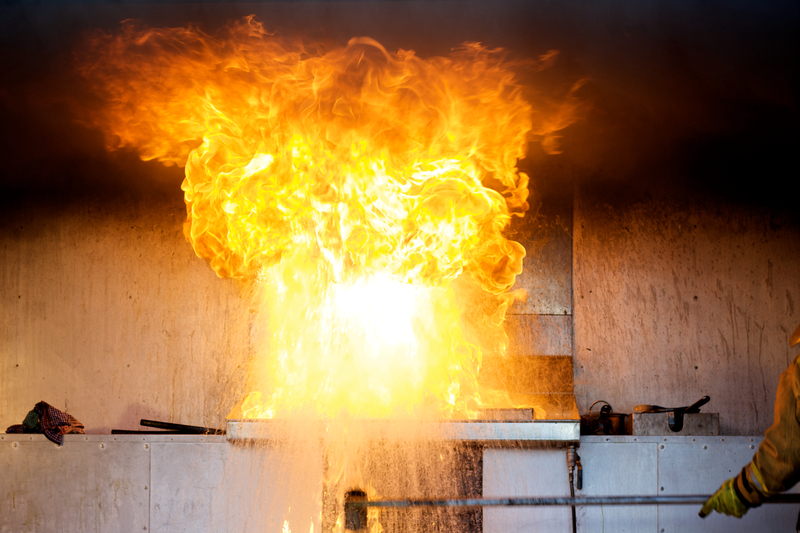 We provide immediate response 24 hours a day, 7 days a week to help minimize fire, smoke and soot damage to your property. Call us at at 602-257-8444 for more information.